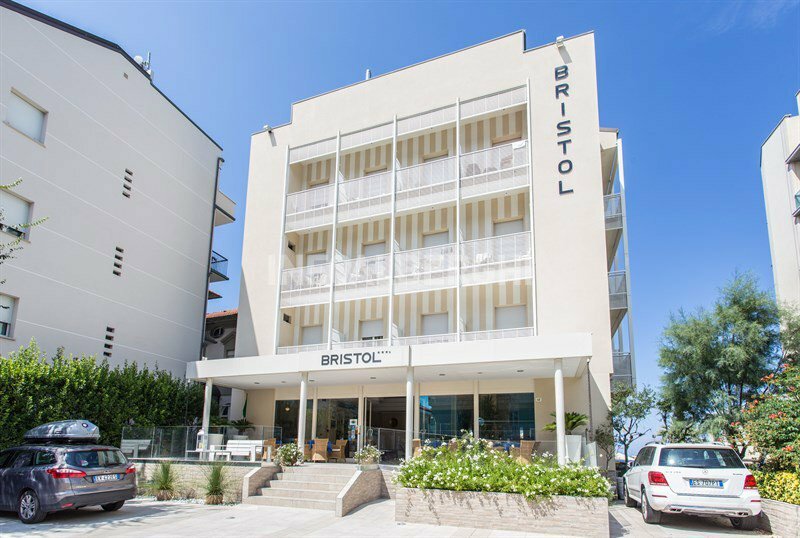 The Bristol Hotel , 3-star superior family-run hotel in Cattolica, has been recently renovated and offers direct access to the beach. It has parking and facilities for children. It admits small animals. 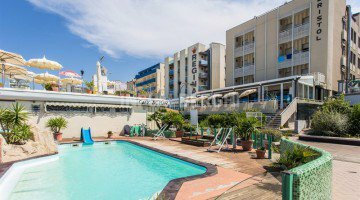 The hotel is located right on the beach of Cattolica, in via Carducci. The back of the hotel is just a few steps away from Via Dante, the street of the Cattolica promenade. All equipped with balcony (some with sea view), air conditioning, LCD satellite and digital TV, WI-FI, hairdryer, courtesy set, telephone, safe and minibar. STANDARD: basic services, attic rooms, some with terrace and sun loungers. COMFORT: modern and renovated in 2015, they have all the basic services. SUPERIOR: soundproofed, orthopedic mattresses (many with king size bed), 32 "LCD TV, bathroom with rain shower. SUITE SUPERIOR FRONTE MARE: two separate rooms composed of a living area with a sofa that can be converted into a bunk bed, a double bedroom and two bathrooms, one with a sensory shower. Soundproofed, they also have a 32 "LCD TV. Equipped open-air porch, free use of bicycles, 24h open bar, night porter, luggage storage, elevator. The structure is equipped for cyclists and organizes theme nights. PARKING: inside and outside, both open and with limited seats. Parking spaces also in the garage. AGREEMENTS: beach, amusement parks and shuttle service. BREAKFAST: buffet on the terrace overlooking the sea, with homemade desserts. LUNCH AND DINNER: choice between meat and fish dishes of the Romagna tradition as well as those with a more international flavor, accompanied by a vegetable and appetizer buffet. In the hotel: strollers, bottle warmers, pediatric advice on request. In the room : cot, safety rails and bath tubs. At meals: high chairs, baby menus and baby food. On the beach: playground area, swimming pool, entertainment, baby / mini / junior club. The hotel has direct access to the beach, has an agreement with Bagni Marcello 76/77 and offers its guests many services including, such as, a swimming pool with hydromassage, a gym, sports fields, table tennis, aquagym, areas play and entertainment for the little ones and much more. The prices of the price list are per person per day full board for a min. 4 days. From 15 May to 14 June and from 1 September, a child up to 8 years FREE! SEA VIEW ROOMS ON REQUEST !!! The best month to enjoy sun and tranquility! From May 13 to 31, Formula All Inclusive, package for 7 nights € 455.00 per person.